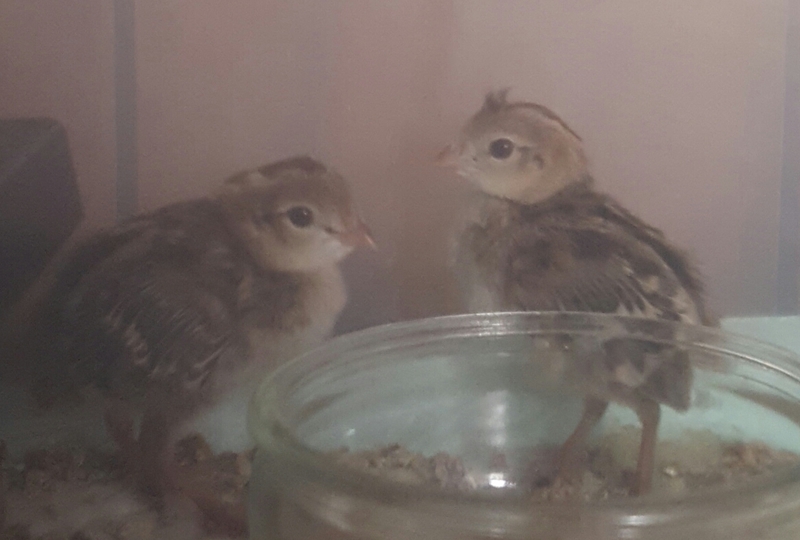 As mentioned in the posts about the Ornamentals, the group of birds I bought included 2 Californian Quail. The 2 were both females which although quite drab compared with the males are still lovely birds. 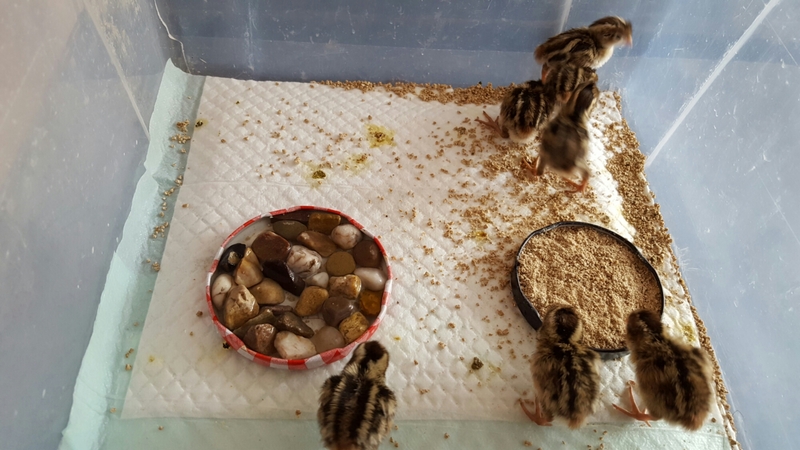 Sadly when I transferred the birds to their new enclosure somehow they escaped. 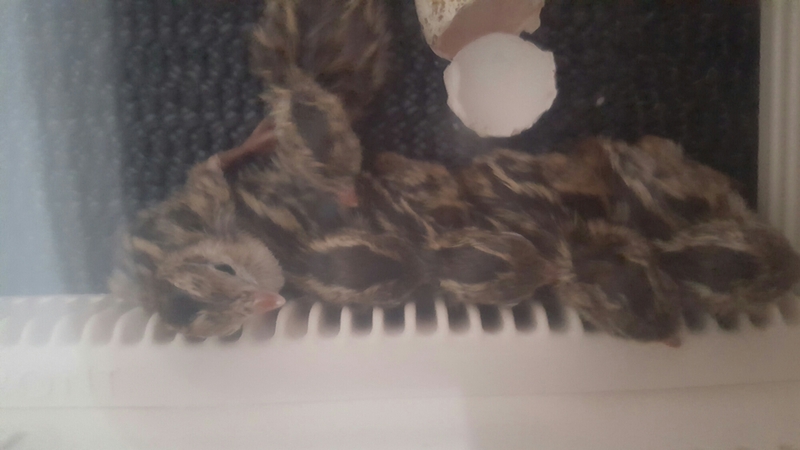 They were spotted soon after on the road : ( but I doubted that even if they didn’t get run over that they would still be alive now : ) Just 2 days ago though I was in the little orchard out the back (the back garden) and I swear I heard their distinctive ka-HEEEE-ha call! It would be amazing if they were still alive! 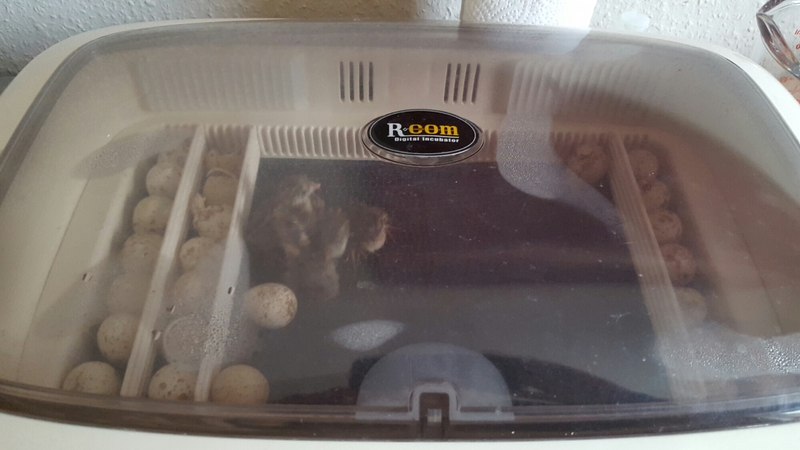 I decided to hatch some more to add to the enclosure when old enough. 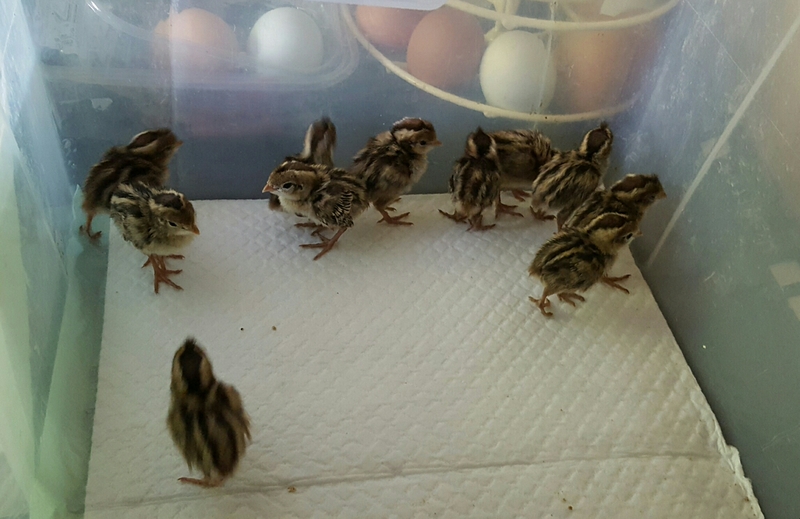 I got 3 lots of 12 eggs from different breeders and had 11 hatch, some from each lot. Of the 4 different sorts of eggs in the incubator during the power cut I thought these, being so tiny, we’re likely to be most adversely affected. 24 hours after the power cut I candled one of these eggs and to my delight saw the developing embryo wiggle! I don’t tend to candle quail eggs as it can adversely affect them. 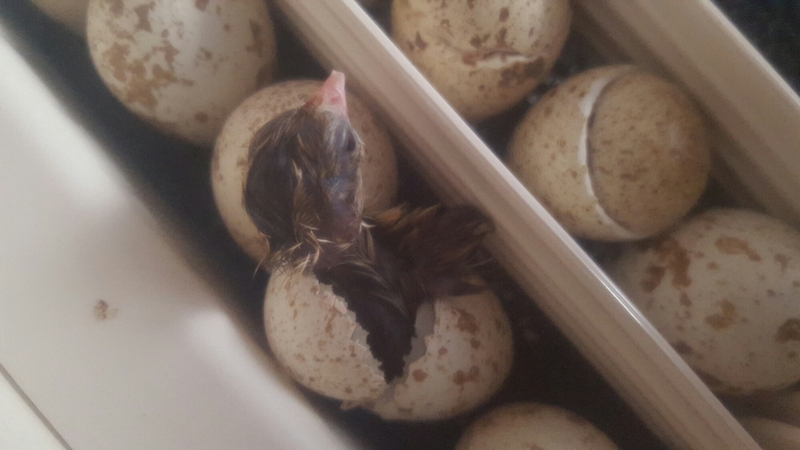 With this group I did one very brief candle at lockdown – dark egg, hopefully alive and developing ok; light egg, infertile so removed. 5 all in a row! They’ve just had a growth spurt. 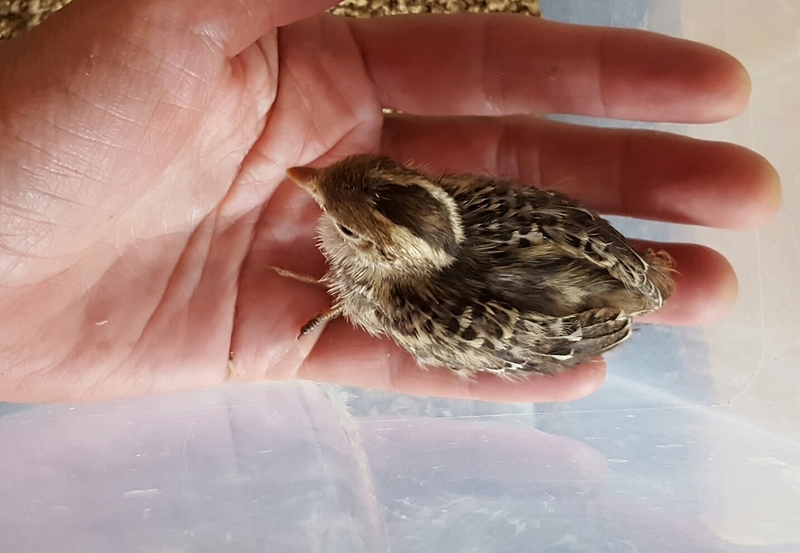 Now massive compared to how tiny they were when hatched… and only 2 weeks old.